As a manual medicine practitioner who specializes in back and neck pain, it is my responsibility and duty to my patients to provide the best care possible in order to achieve optimal results. Part of this process is being able to suggest what types of treatments or modalities are going to be the most effective and are supported by good quality studies and evidence. This is what evidence based medicine is all about! Although it is outside my scope of practice to provide patients with recommendations or suggestions when it comes to medication, I felt this recent review of the current literature was important to summarize for our patients and readers. As mentioned in previous blog posts, approximately 80% of individuals will suffer from low back pain at some point in their lives. Of those individuals, roughly 80% of chronic low back patients receive one or more prescriptions from their physician while 35% receive two or more. The authors of this current study look at the existing evidence to support the use of four commonly prescribed drugs; non-steroidal anti-inflammatory drugs (NSAIDs), opioids, muscle relaxants and anti-depressants. The results of the literature review were as follows; (please note placebo is defined as a sham treatment, in which the patient usually receives a sugar pill instead of the real medication. This allows the researchers the ability to compare the effects of the real meds versus the sham meds). Low quality evidence that NSAIDs are more effective than placebo for low back pain. Low quality evidence that opioids provide greater improvements in pain and function versus placebo and provide no significant advantage for pain or function compared to other pain pills. Opioids were also associated with greater risk of side effects. There is moderate quality evidence that anti-depressants are no different than placebo for pain and function in low back pain patients. There are no studies on muscle relaxants. In summary, there really is no high quality evidence to support medication as a strong treatment recommendation, especially the use of muscle relaxants which have no studies done on them at all. From the review, the authors concluded that NSAID’s should be considered in the management of chronic low back pain as a treatment option. Due to the serious side effects, weak supporting evidence and no significant difference from NSAIDs, Opioids may be used, but should be avoided. Lastly, Anti-depressants should not be used for chronic low back pain. A special thanks to Dr. Shawn Thistle and the Research Review Service® Team for bringing this study to my attention. Kuijpers T, van Middelkoop M, Rubenstein SM et al. A systematic review of the effectiveness of pharmacological interventions for chronic non-specific low back pain. European Spine Journal 2011; 20: 40-50. White AP, Arnold PM, Norvell DC et al. Pharmacologic management of chronic low back pain: Synthesis of the evidence. Spine 2011; 36(21S): S131-S143. 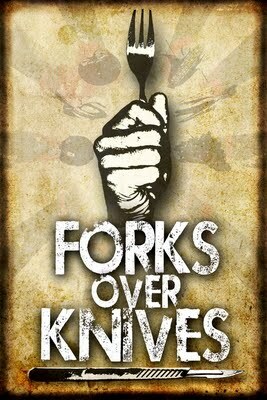 Next Post Forks over Knives!